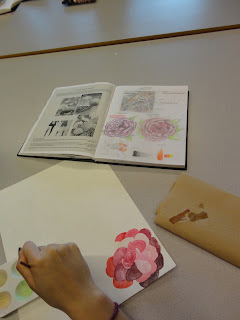 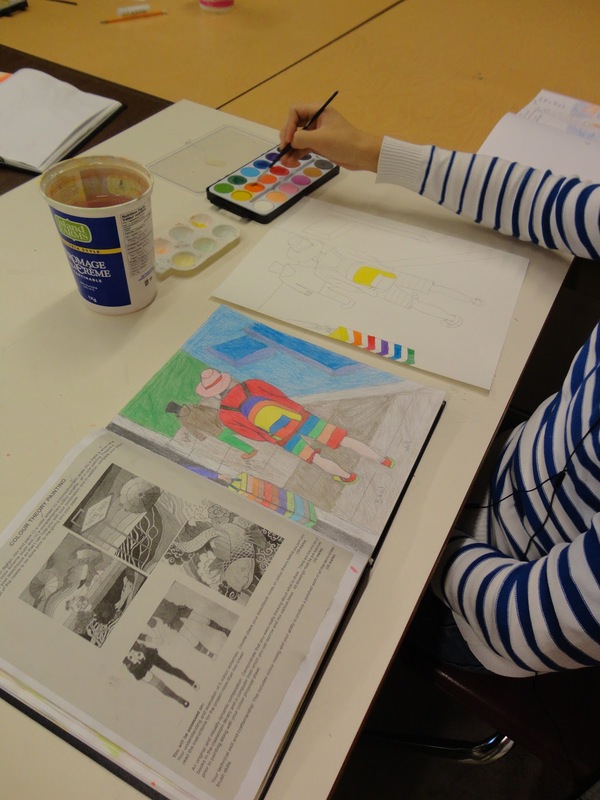 Students are working on a colour theory painting, inspired by one of my favorite art teacher blogs - Artisun. 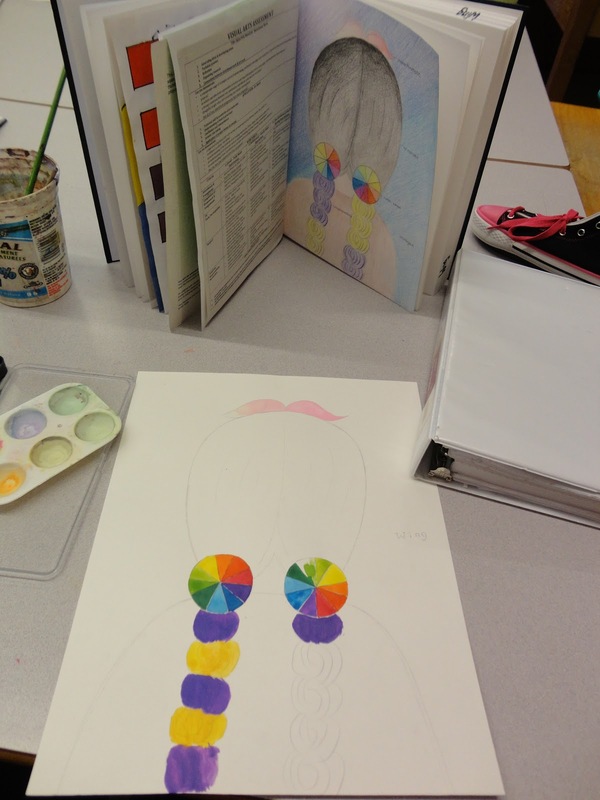 They have to include a colour wheel, both a monochromatic and achromatic scale, and analogous and complementary relationships. 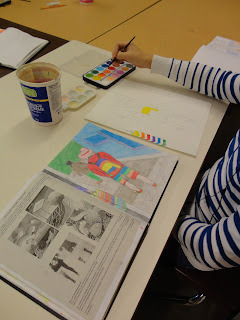 Prior to starting their painting we discussed some compositional strategies to add depth, visual interest and/or movement to their drawings. 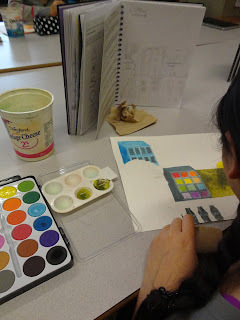 We spent a long long time in the sketchbook doing color charts - primary, secondary, tertiary colours as well as tints,shades - and planning their drawing and how they were going to execute all 5 colour schemes. I'm pleased with the direction their paintings and look forward to seeing their final work.